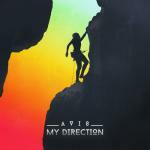 As a thank you for 8000 facebook likes, I give to you 'My Direction' free for download! Be sure to let me know what you think! & again, thank you for your everlasting support!